This was my first year attending New York Mens Fashion Week. Having been to a few fashion weeks prior to this one, I thought I knew what to expect. 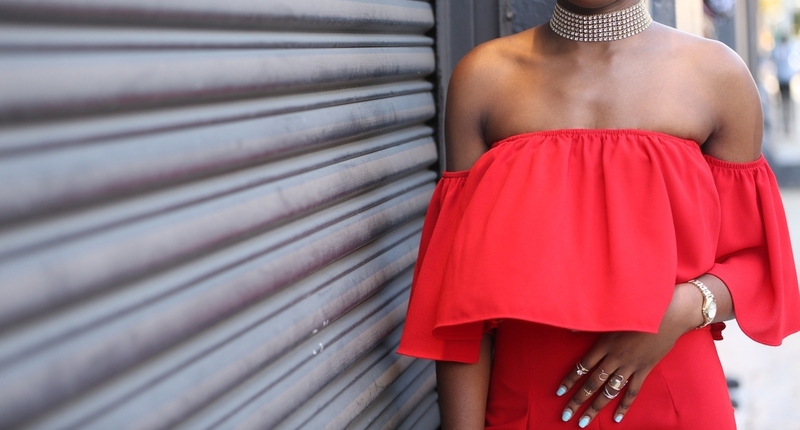 I stepped out onto the streets of New York in head to toe red, heels, glitz, and a whole lot of glamour. However, NYMFW is the total opposite from women's fashion week. The thing is… this is Mens Fashion week. The looks were modern, casual, and left me feeling a bit overdressed at times. I had the honor of attending four phenomenal presentations, including: Brett Johnson, Zachary Prell, Gypsy Sport, and Suit Supply. I spotted the newest trends on the runway and in the streets. I couldn't believe all the feminine details that walked the runway. It seems as though the men are coming for our crowns. All in all, Mens Fashion week was an opportunity to meet fashion influencers in a more relaxed, genuine, and slower-paced environment.